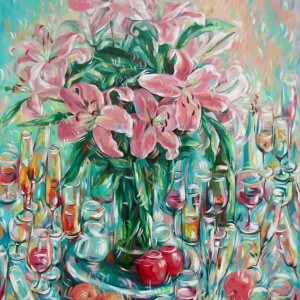 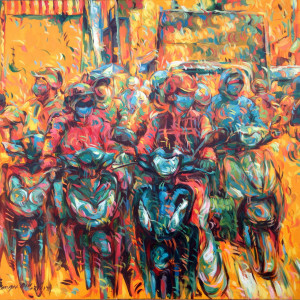 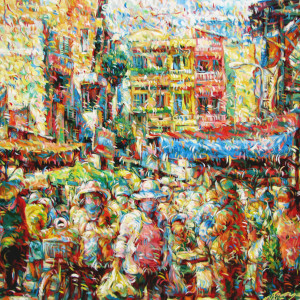 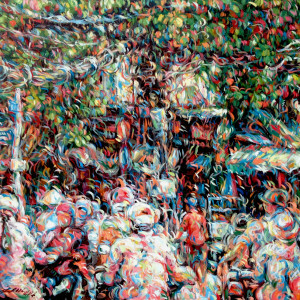 Contemporary Asian painter Tran Ngoc Duc paints urbanscapes in abstract terms. 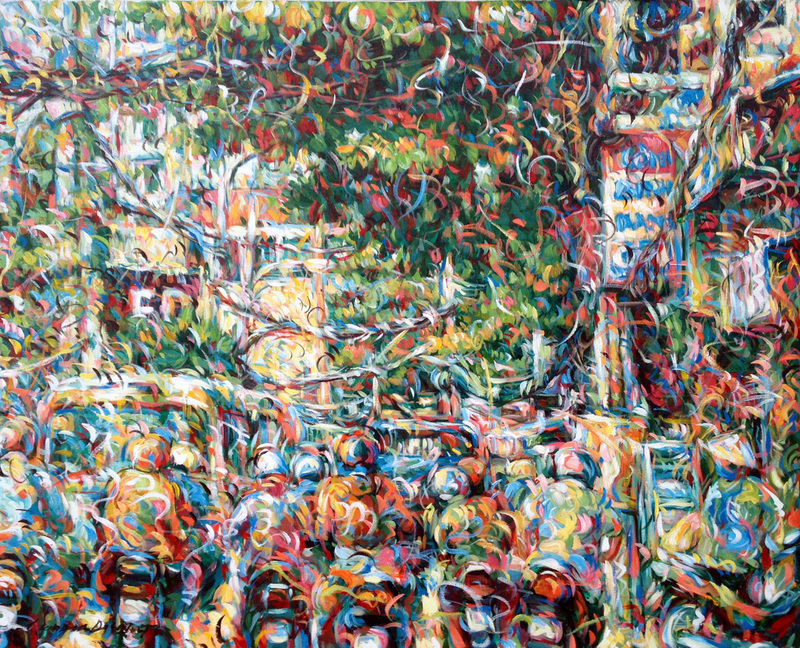 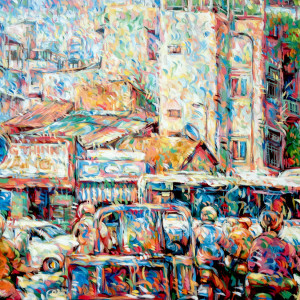 This painting depicts a city street congested with people, vehicles, traffic signals, flanking buildings and trees. 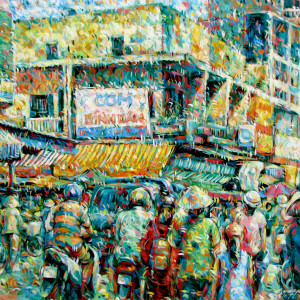 However, this well-known urban sight is presented stylistically by covering the entire frame with brush strokes in unrealistic colors. 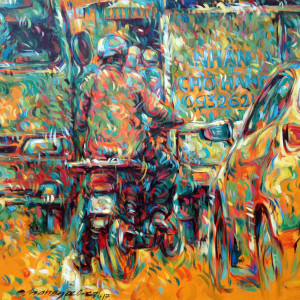 There is a dynamic quality about the frame.